As with any art form, there is a continuum of accessibility with film. Whether we like the movies or not, just about all of us “get” STAR WARS or THE GODFATHER. If we start heading into Coen Brothers territory, though, we're going to start losing a few people. Davids Lynch and Cronenberg, even more. By the time we get to full-on “art” filmmakers like Guy Maddin or Peter Greenaway, the audience is quite small indeed, and frankly it's a wonder that such directors are able to get the money needed to produce their features, let alone get them into a few actual movie theaters. And yet compared to experimental filmmakers like Stan Brakhage and Hans Richter, these guys are practically the mainstream. 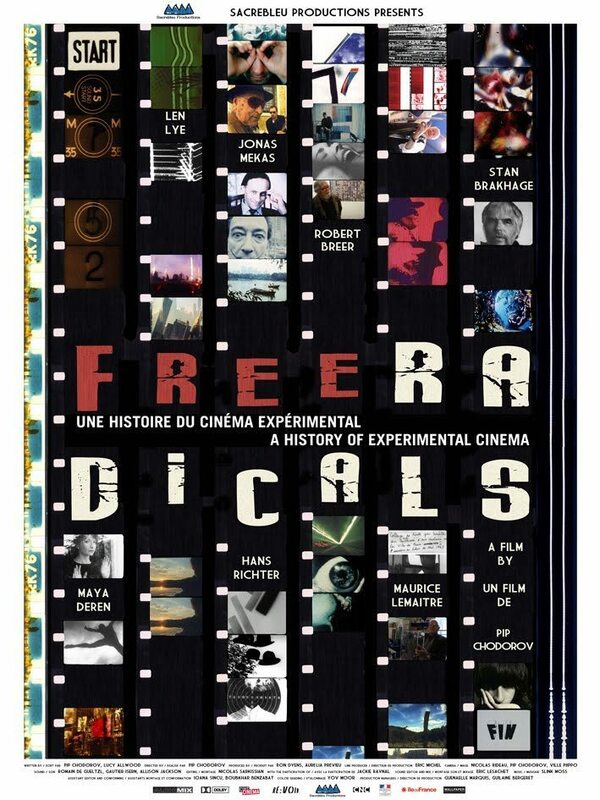 FREE RADICALS: A HISTORY OF EXPERIMENTAL FILM is an attempt to offer an entry level look at these avant garde movie makers, and to explain to the average person why their admittedly difficult works are of merit. I remember reading an interview with a comic book artist, Neal Adams, I believe, who said something to the effect that the avant garde innovates, and commercial artists like himself then take those innovations and adapt them for the mainstream. 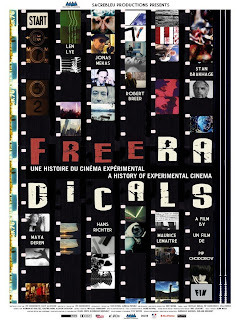 Certainly when one is watching the examples of experimental film shown in FREE RADICALS, it's not hard to see how these once edgy and groundbreaking film techniques have been co-opted by modern mainstream films and advertising, and of course music videos. Director Pip Chodorov, an experimental filmmaker himself, utilizes the connections he made from that world to secure interviews with many of the important figures in the experimental film movement. Some of these interviews, such as those with Brakhage, were captured just in the nick of time before the subjects passed away, making this an important time capsule. For those already steeped in an appreciation for this kind of film, FREE RADICALS may be a bit too lightweight. That's fine, they aren't the intended audience, anyway. This is more for the average film fan who has a degree of curiosity about the potential movies have beyond what comes out of Hollywood. For some, this primer will likely be all they need to hear on the subject. For those few others, however, it may well offer a path to further discovery. 3 out of 4 stars.